"IT IS EASIER TO DEVELOP A POSITIVE PRESCHOOLER THAN IT IS TO READJUST A NEGATIVE TEENAGER." PARENT-TOT: 1.5 - 3 YEARS, A PLAYFUL CLASS CENTERED ON AGE APPROPIATE COORDINATION SKILLS. THIS IS A PERFECT WAY TO EXPOSE A CHILD TO THEIR FIRST TEACHER WITH THE SECURITY OF THE PARENT BEING THERE. WONDERFUL WAY TO SPEND TIME TOGETHER! MINIBEAR: 3 - 4 YEARS, NO PARENT NEEDED FOR THIS CLASS. THERE ARE MOUNTIANS TO CLIMB, NUMBERS TO COUNT, VINES TO SWING AND CAVES TO EXPORE! PHYSICALLY AND MENTALLY CHALLENGING SKILLS GIVES KIDS STRONGER MINDS AND BODIES. CHILDREN ARE ENGROSSED IN THE CLASS AND LIVE THE THEME. TUMBLEBEAR: 4 - 5 YEARS, A MORE ADVANCED VERSION OF THE MINIBEAR CLASS. WITH MORE PHYSICAL ACTIVITY COMES MORE EMPHASIS ON SAFETY. KIDS LEARN THEIR LIMITATIONS AND BUILD CONFIDENCE. THIS CLASS TEACHES KIDS A CHALLENGE IS FUN! 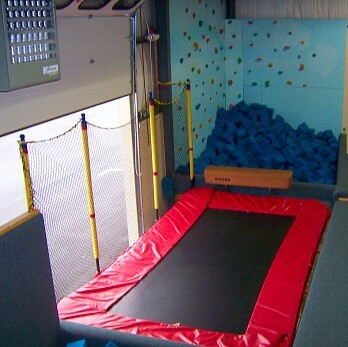 LEVEL 1: IS THE BEGINNER LEVEL, WHERE THE CHILDREN WILL LEARN THE BASICS SKILLS AND SAFETY TECHNIQUES ON ALL 4 EVENTS. 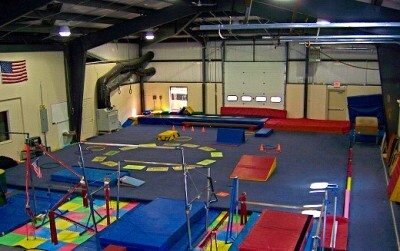 LEVEL 2: IS A MORE INTERMEDIATE LEVEL WITH KIDS HAVING GYMNASTICS EXPERIENCE. IN THIS CLASS THE CHILDREN WILL BE ADDING ON TO THE SKILLS THEY HAVE MASTERED IN LEVEL 1. LEVEL 3: IS A MORE ADVANCED CLASS, WHERE THE CHILDREN WILL CONTINUE TO ADD ON TO THE SKILLS THEY HAVE MASTERED IN LEVEL 1 + 2. 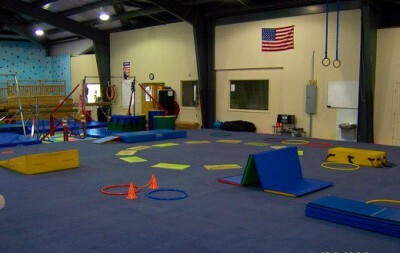 THEY WILL START CONNECTING SKILLS INTO SERIES OR ROUTINES. THERE IS MORE FOCUS ON STRENGTHENING AND FLEXIBILITY NEEDED TO ACCOMPLISH THESE MORE ADVANCED SKILLS. LEVEL 4: IS OUR MOST ADVANCED CLASS WITH KIDS HAVING MUCH EXPERIENCE. 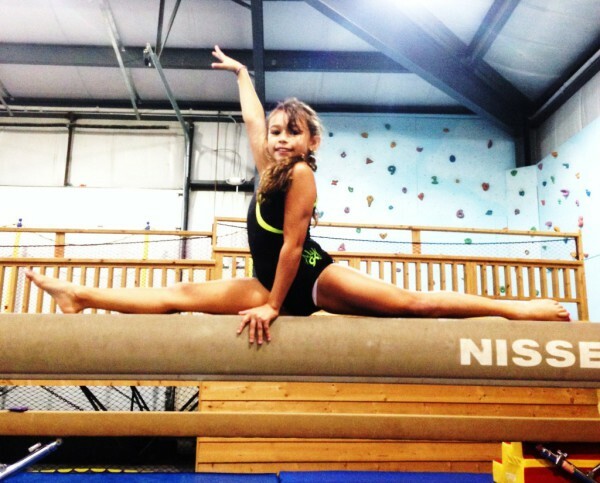 IN THIS CLASS WE WORK ON THE KIDS INDIVIDUAL GOALS WHETHER THAT BE GOING TO COMPETITIONS, JOINING THE HIGH SCHOOL TEAM, OR JUST MASTERING CERTAIN SKILLS. ANNUAL MEMBERSHIP FEE: A $50.00 FEE IS REQUIRED FROM ALL STUDENTS TO BECOME A MEMBER AND IS VALID SEPTEMBER THROUGH AUGUST. MEMBERSHIP FEE ALLOWS YOUR CHILD TO BE COVERED UNDER OUR INSURANCE. TUITION: BASED ON 8 WEEK SESSIONS. PAYMENTS ARE DUE BEFORE THE SESSION BEGINS IN ORDER TO HOLD THE SPOT. THERE IS A $20.00 FEE FOR LATE PAYMENTS AND $25.00 FEE FOR ALL RETURNED CHECKS. THE GYM WILL BE CLOSED ON: LABOR DAY, THANKSGIVING WEEKEND (11/24 - 11/27), CHRISTMAS VACATION (12/23 - 1/1/17), APRIL VACATION (4/16 - 4/23), MEMORIAL DAY, END OF SCHOOL BREAK (6/11 - 6/17), 4TH OF JULY WEEK (7/2 - 7/8), END OF SUMMER BREAK (8/20 - 9/2). WEATHER CANELLTIONS: PLEASE CALL THE GYM FOR VERIFICATION *508 746 5797, CHECK WEBSITE WWW.BIGEASTGYMNASTICS.WEBSITE, OR OUR FACEBOOK PAGE. NO FOOD OR COLORED BEVERAGES ALLOWED IN THE GYM AT ANYTIME. ONLY ENROLLED STUDENTS ARE ALLOWED IN THE GYM. ALL PARENTS AND SIBLINGS ARE ASKED TO REMAIN IN THE LOBBY.